A while back, I accepted a challenge to write a book review of Nancy Peacock’s memoir A Broom of One’s Own in only four sentences. Starting well before the due date, I wrote the first sentence of the review over and over, and deleted it over and over. For a while I wrote the same sentence several times in a row. Then I made up a new sentence and wrote it several times in a row. After weeks of torment, I buckled down and produced the following review. I like Nancy Peacock’s A Broom of One’s Own: Words About Writing, Housecleaning & Life so much that it’s taken me over two months and two missed deadlines to untangle my thoughts and write this four-sentence review, an irony Peacock, author of two critically acclaimed novels, would no doubt address were I in one of her writing classes. She would probably tell me there is no perfect writing life; that her job as a part-time housecleaner, begun when full-time writing wouldn’t pay the bills, afforded time, solitude, and the “foundation of regular work” she needed; that engaging in physical labor allowed her unconscious mind to “kick into gear,” so she could become not the writer but the “receiver” of her stories. So, having composed at least two dozen subordinated, coordinated, appositived, participial-phrase-stuffed first sentences and discarded them before completion; having practically memorized the text searching for the perfect quotation to end with; and having once again stayed awake into the night, racing another deadline well past the deadline, I am completing this review–because I value Nancy Peacock’s advice; and because I love A Broom of One’s Own; and because I consider it the equal of Anne Lamott’s Bird by Bird; and because I want other readers to know about it; and because this is what I want. This review first appeared on Whiskertips. It was posted here in 2015. I received a copy of the book for review from Story Circle Network. My opinion is my own, and it’s as strong today as it was when I first read the book. I recommend it to anyone who writes or wants to write, and to anyone who likes to read about writers and writing. M. K. Waller blogs at M. K. Waller–Telling the Truth, Mainly. She has published short stories and is once again working on the novel she set aside several years ago. 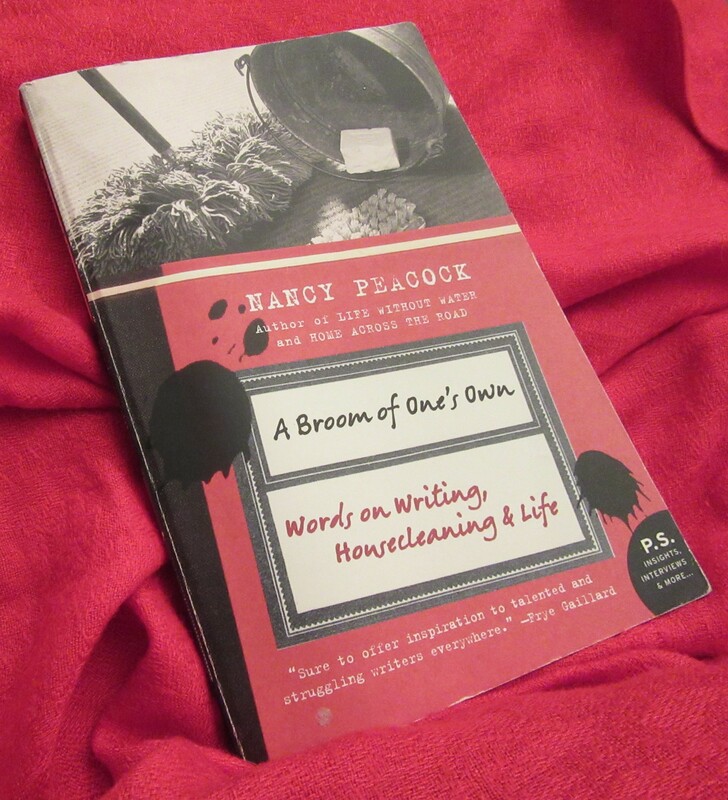 A while back, I accepted a challenge to write a book review of Nancy Peacock’s memoir A Broom of One’s Own in only four sentences. Starting well before the due date, I wrote the first sentence of the review over and over and deleted it over and over. Sometimes I wrote the same sentence several times in a row. Sometimes I made up a new sentence. After weeks of torment, I produced the following review. She would probably tell me that there is no perfect writing life; that her job as a part-time housecleaner, begun when full-time writing wouldn’t pay the bills, afforded time, solitude, and the “foundation of regular work” she needed; that engaging in physical labor allowed her unconscious mind to “kick into gear,” so she became not the writer but the “receiver” of her stories. So, having composed at least two dozen subordinated, coordinated, appositived, participial-phrase-stuffed first sentences and discarded them before completion; having practically memorized the text searching for the perfect quotation to end with; and having once again stayed awake into the night, racing another deadline well past the due date, I am completing this review–because I value Nancy Peacock’s advice; and because I love A Broom of One’s Own; and because I consider it the equal of Anne Lamott’s Bird by Bird; and because I want other readers to know about it; and because this is what I want. This review first appeared on Whiskertips. 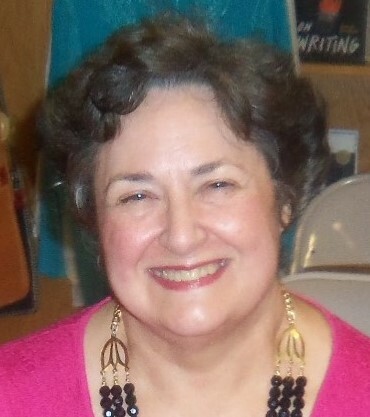 Kathy Waller blogs at To Write Is to Write Is to Write and at Austin Mystery Writers. Two of her short stories, “A Nice Set of Wheels,” and “Hell on Wheels,” will appear in the Austin Mystery Writers anthology, MURDER ON WHEELS, to be published by Wildside Press this spring.